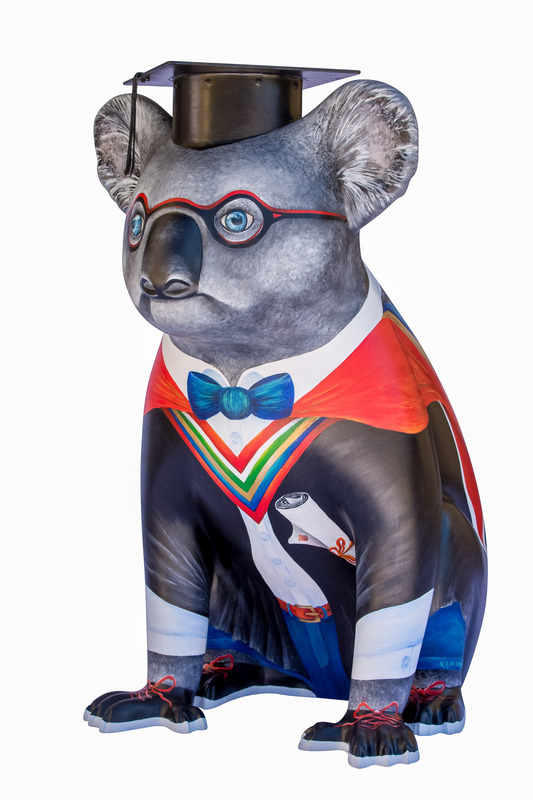 Charles Sturt University’s Port Macquarie campus now has its own Hello Koalas sculpture named Professor Eugene Eucalyptus, unveiled on 8 December, 2017. 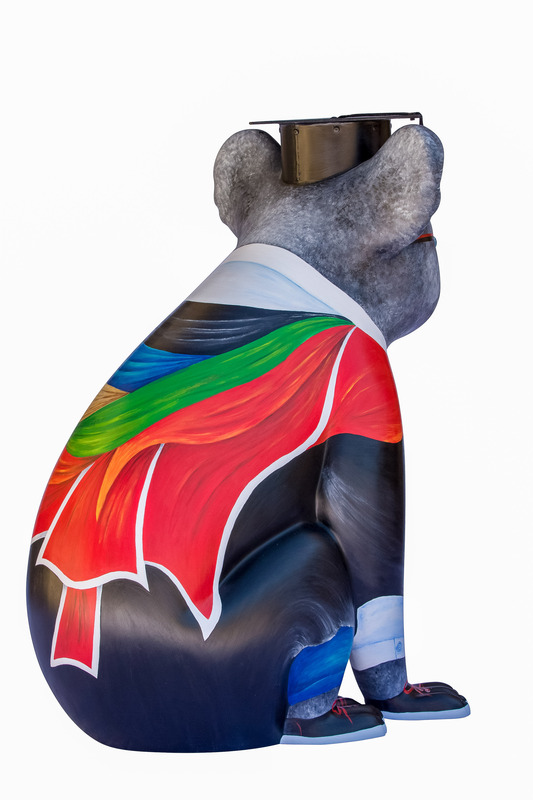 The sculpture has been designed by Port Macquarie artist, Kim Staples in collaboration with her partner Wayne Staples who created the special mortar board made from steel. 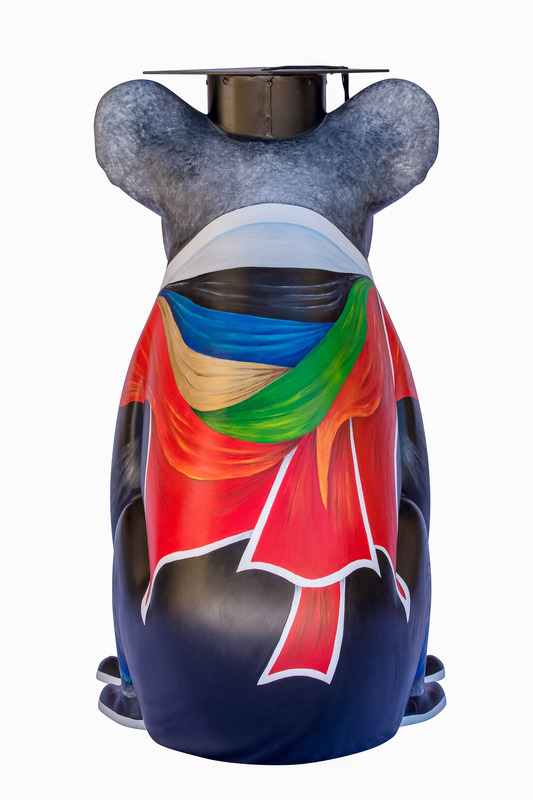 According to CSU: “The Hello Koalas Sculpture Trail has become a signature cultural icon for Port Macquarie and as CSU sees itself as part of the core fabric in the local community, we saw it an important feature we wanted to be a part of. 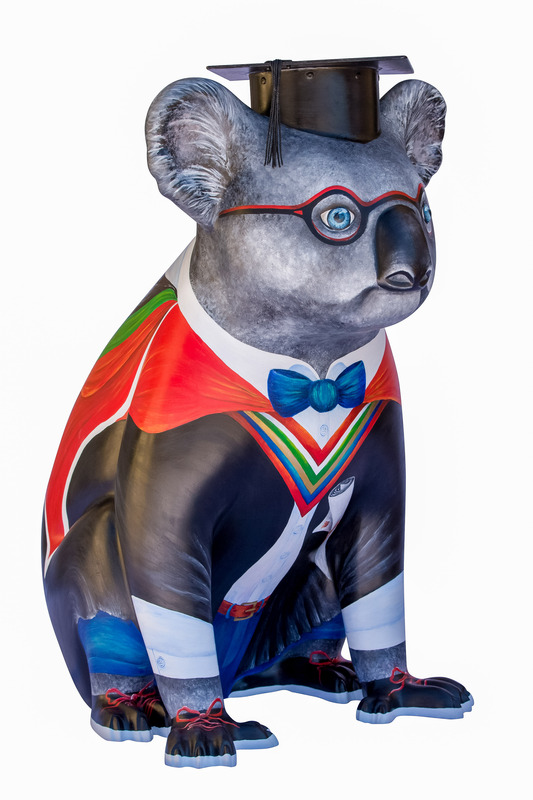 The Hello Koalas sculpture now sits in the courtyard and is a sign of welcome to our new and returning students as well as to the community who wish to visit and visitors to our region”. The sculpture will also be utilised for marketing strategies to attract international students to Port Macquarie. CSU university students entered a competition to name the new CSU sculpture. 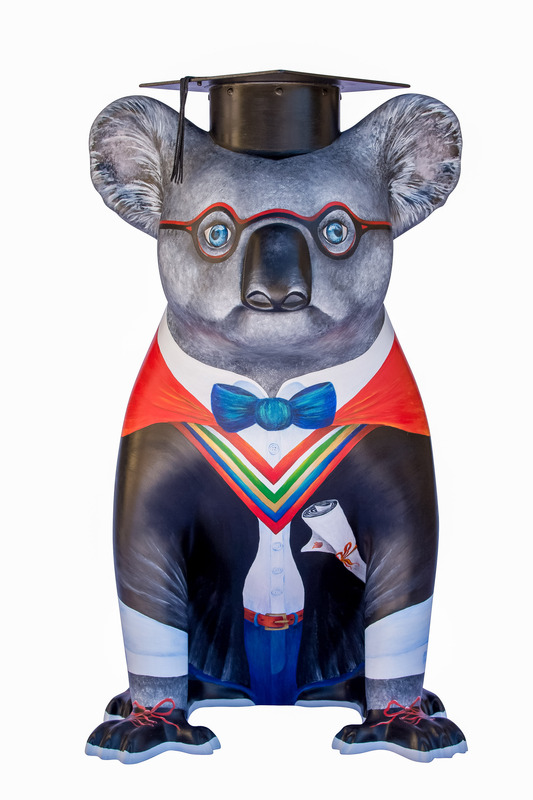 Professor Eugene Eucalyptus wears a graduation cape and mortarboard with stripes on his collar representing the three faculties currently operating at the Port Macquarie campus. 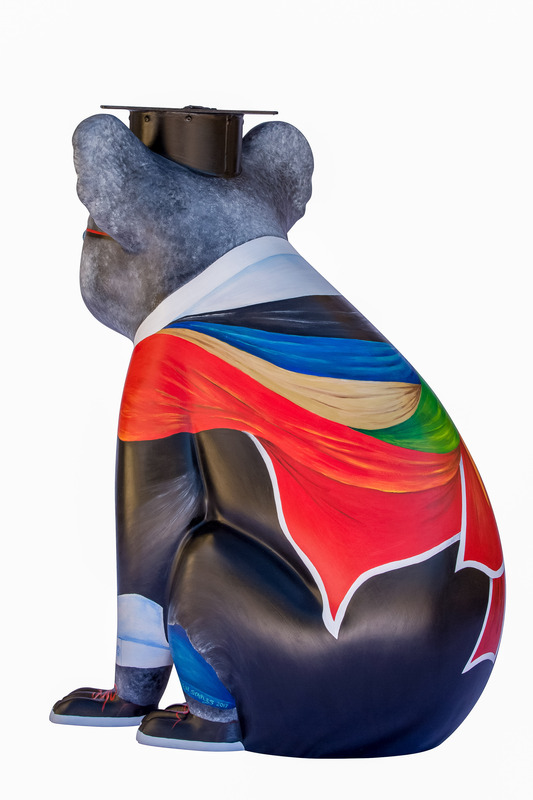 The sculpture has been designed by Port Macquarie artist, Kim Staples in collaboration with her partner Wayne Staples who created the special mortar board made from steel. Kim Staples is an Australian visual artist, art tutor and art therapist who lives and works in Port Macquarie. In 2004, she founded Art of Life. Kim is committed to providing an art educational service to the community. Kim's art courses reflect the needs of local individuals including youth groups and people living with alzheimer's, disabilities and other challenging conditions. Kim's mission is to support people to achieve, improve and develop healthy emotions through the arts. She feels artistic expression is the key to one's soul. Kim tries to reflect this in her artwork by connecting her inner world with her outer world. Her love of culture, nature, colour, texture and the unknown is captured in her diverse style of painting and sculpting.